As you look at the different vehicles offered for the driving experience you want, one will stand out that has something more for your driving enjoyment. This model that stands out is the Fiat 500X which is a vehicle that offers you the ability to head out on the trails you want to experience so that you can have the fun and adventure you’re looking for. Check out the lease deals offered in order to have this become the model that’s right for you on the roads around Sunrise, FL. In order to make sure the small SUV of the Fiat 500X can handle the ride you need and continue to perform for you, Fiat has built it with a pair of engines that can give you the power you’re looking for. Let the team at Massey Yardley Chrysler Dodge Jeep Ram Fiat in Plantation, FL show you the various lease deals that you can choose from in order to make this the right vehicle for your daily driving needs around Sunrise, FL. Come in and pop the hood of the models of this SUV and see how it can perform the way you want. The base engine for the Fiat 500X is the 1.4-liter turbocharged four-cylinder engine which is capable and efficient to be a fantastic way for you to have the drive. There are a variety of affordable lease deals for the models with this engine which brings you 160 horsepower and 184 lb.-ft. of torque for the drive. This engine is offered on the base trims and is mated to a six-speed manual transmission to give you the experience of making your own shifts when you’re ready to take a drive on the roads and trails around Sunrise, FL. Moving to the upgraded models of the Fiat 500X, the lease deals you’re looking for can include the use of the 2.4-liter four-cylinder engine. This engine gives you 180 horsepower and 175 lb.-ft. of torque to make sure you have the power you’re looking for when you head out on the roads around Sunrise, FL. This engine is attached to a nine-speed automatic transmission and can be had with the benefits of AWD so that you can have the power delivered to the wheels when you take this SUV out for the ride on the trails in your area. It’s time for you to have the fun you’re looking for when you head out for a drive. The Fiat 500X is an SUV that can allow you to enjoy the drive you want on the roads and out on the trails. 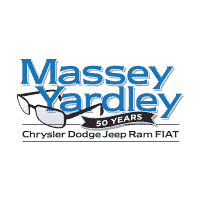 Come in and take a look at the lease deals offered from Massey Yardley Chrysler Dodge Jeep Ram Fiat in Plantation, FL to make this the SUV that’s right for you out on the roads and trails around Sunrise, FL. This team will help you choose the right power for the drive you want to make every day.